Bottle Neck Hangers powered by The MRL Group custom produces Point of Purchase displays that meet your budget and objectives. 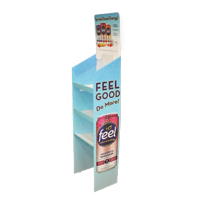 Corrugated displays work in any type of store environment and effectively promote your product. These cardboard displays are popular for new product launches, temporary sales, and even as additions to holiday/event displays. We've produced and designed corrugated counter displays, corrugated floor displays, corrugated standees and many more cardboard-based point of purchase and point of sale items. Contact us today for your next creative corrugated display. Send a message right off the shelf to your potential customers with shelf talkers. Bottle Neck Hangers powered by The MRL Group designs and provides exceptional custom shelf talkers, also known as isle violators, for any kind of product. Whether you are promoting a sale, providing a recipe idea or perfect pairing item, or using it as a decorative addition, shelf talkers, danglers or isle violators are a great way to grasp the attention of any potential customer. Let our team of skilled designers exceed your expectations with your next shelf talker project. Browse some of our previous work below and contact us today! Bottle Neck Hangers powered by The MRL Group produces high quality custom sidewalk displays or A-frames to meet any client specification.Sidewalk displays, A-frames and chalkboards can be produced in any shape or size, come in a variety of materials and can be custom dyed in any color. Sidewalk displays and A-frames are a great way to grasp the attention of passerby customers. These promotional items can be the deciding factor of whether a potential customer will enter your establishment. 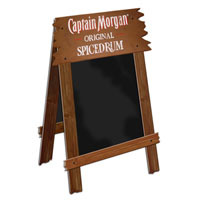 Chalkboards are also a great way to directly communicate with customers. Chalkboards are a reusable item that can be modified to fit your brand year-round. They can be made into wall signs, A-frame sidewalk displays, and more. Whether you are promoting a sale, new item or simply welcoming guests, sidewalk displays, chalkboard and A-Frames are a great way to draw the public in. Get the highest quality all at an affordable rate with Bottle Neck Hangers powered by The MRL Group. 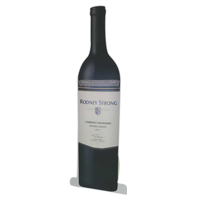 Bottle Neck Hangers powered by The MRL Group produces excellent standees that can meet any client specification. Corrugated standees are an inexpensive promotional tool that can be produced in any shape or size. These bigger than life point of purchase items are a great way to grasp the attention of passerby customers. Whether your standee is a life-size cut-out of your brand sponsor or a standee replica of your product, Bottle Neck Hangers powered by The MRL Group can help make your vision come true. Our team of skilled designers will ensure that you get an original design that will increase sales and brand visibility. View some of our previous work below and contact Bottle Neck Hangers today for your next corrugated standee project.